In-Store Pickup & Delivery: Once your product has been delivered to our store your sales person will call to let you know it is available for pick up. Occasionally manufacturer production schedules change and a product will be temporarily out of stock. This can cause delays. We will take all efforts to keep you alerted to any backorder situations However, backorders from manufacturers are beyond our control. All full house orders will be delivered at no charge within a 20 mile radius once the order is complete. Arrangements for delivery will be made by your sales person. Confirmation by our drivers will be made the day before with a 2 hour delivery window. At your request our drivers will call the day of the delivery when they are on there way. Arrangements for the single delivery of oversized or special order items may be made. These deliveries will be subject to a delivery fee. The Light House will ship orders within the 48 Continental United States. Insurance is not included with shipping. Expedited shipping and/or insurance is available by calling 1-417-889-1088 or emailing info@TheLightHouseGallery.com. Products that exceed the size limitations of UPS will be shipped via motor freight. Motor freight shipments are only available to residents of the 48 contiguous United States. Motor freight charges shall only include delivery to the residential front door of the shipping address. Our shipping costs are based on an item’s size and weight as well as the method of shipment. Our truck delivery must be to a physical street address. Items ordered together are not necessarily shipped simultaneously. If an item is back ordered, we will notify you by telephone or e-mail with an estimated delivery date. If your item has been damaged in shipment we will repair or replace that item at no cost to you. Please contact our customer service department by telephone or e-mail within 48 hours to obtain an RMA (Return Merchandise Authorization) number. All damaged items MUST be documented by photographes. Items without an RMA number will be returned to the customer and will not be processed. The easy to follow instructions for returning merchandise to The Light House Gallery, Inc. are written below. Reasonable shipping charges will be refunded upon inspection and only when damage is deemed to be freight damage. A repaired or replaced item will be shipped as soon as possible with no additional charges. We do not consider an item with broken glass to be a damaged product. Please contact our customer service department by telephone or e-mail within 48 hours of receipt and we will ship you a replacement glass at no charge to you. Given our priority with customer service, you can bet that we check and double check all items before they are shipped. In the unlikely event that you are accidentally shipped the wrong item, please contact our customer service department by telephone or e-mail within 48 hours of receipt to obtain an RMA number. Items without an RMA number will be returned to the customer and will not be processed. Please see below for instructions on returning merchandise to The Light House Gallery, Inc. After receipt and inspection of the product, all shipping charges will be refunded. The correct item will be shipped as soon as possible with no freight charges. The Light House Gallery, Inc. does not provide warranties on the products offered on this website. 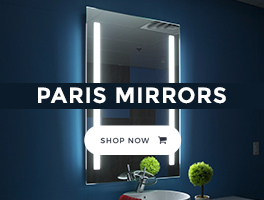 All lighting products, however, are sold with a manufacturer warranty which warrants that products sold to the first non-dealer purchaser will be free from defects in material and workmanship. The Light House Gallery reserves the right to modify it's warranty offerings without notice, including the lines being offered with extended warranties. It is your responsibility to keep all documentation needed for warranty claims. This includes your order number along with invoices and receipts. Our manufacturers warranties cover against all defects in workmanship, assembly and materials used in the products and also against leaks and rust to products. Finish fading on outdoor lighting fixtures due to environmental factors are excluded from this offer. 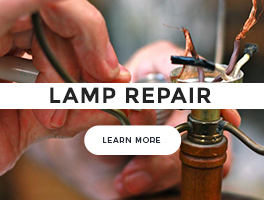 We will repair or replace, at our sole discretion, any products that fail to operate due to a defect, excluding the free replacement of glasses which have become damaged due to mishandling, improper installation or use, or resulting from extreme acts of nature or the free replacement of lamps which may have been provided with certain fixtures. We will not honor any claim for improperly installed fixture(s) or when modifications outside the manufacturer's warranty have been made. No charge backs or charges for labor or materials will be honored. Our sites display photographs have been converted into digital images to represent the products available for purchase. Typically these images make representations of finish colors and glass pieces that may have variations. Many of the products that we carry are hand finished or include hand-blown glass and may have slight variations from product to product. For these types of artistic products the finish or glass may not be the same as represented in the image(s). Each piece can vary in color intensity and in the pattern it reflects. Glass shades can also vary slightly in their shape when hand blown. Glass colors can appear different when a fixture is turned on vs. turned off. Likewise, because all computer monitors interpret color differently, we cannot guarantee that the fixture you receive will have colors that match what you viewed with your monitor. We are aware from time to time you may be faced with a purchase that you are not completely satisfied with or perhaps came damaged. Merchandise not removed from its original packaging. Merchandise that was mis-packed or was not shipped correctly. Clearance items will be marked as such, and do not qualify for return unless defective. Any items which are approved, stock in our warehouse may be returned for a full refund provided the merchandise has not been installed or altered in any way, including cutting or clipping of wires. Merchandise must be in its original carton, including all packaging materials and accessories. Once the order is received back to the store the merchandise will be inspected and once confirmed, no damage or alternations to the merchandise, you will be issued a refund back to the same method of payment used for the original order. We process the restock of special ordered items per our manufacturers specifications. A 35% restock fee will be charged for each returned item upon receipt of an RGA from the manufacturer. Once the item is received back into our store it will be inspected for damage or alterations to the merchandise. All merchandise must be in its original carton, including all packaging materials and accessories. The refund will be processed and issued, minus the restock fee, in the same method payment used for the original order. Any merchandise with concealed damage will be made whole by the manufacturer and according to their specifications. Refund: Upon inspection and final Return approval by The Light House Gallery that the returned product is in original, uninstalled, unmodified, re-sellable condition with the original packaging, you will receive a store credit or refund. In some cases, The Light House Gallery will begin an RGA (Returned Goods Authorization) process with the fixture’s manufacturer. The Light House Gallery store credit or a refund will be issued within 7 days of final RN# approval by The Light House Gallery. Please note that it may take an additional 4-7 days for your financial institution to post the refund to your account. Refunds will be made via the same method used to purchase the product from The Light House Gallery, less the cost of shipping back to The Light House Gallery, when applicable. In cases where The Light House begins an RGA process with a manufacturer, The Light House Gallery store credit or a refund will be issued within 7 days of final RGA approval from the manufacturer. Refunds will be made via the same method used to purchase the product from The Light House Gallery. Please note that it may take up to an additional 7 days for your financial institution to post the refund to your account. Contact our returns department by telephone to process your return and receive an RGA (return goods authorization) number. Once you have set up your return by phone you will be e-mailed an RGA number within 5 business days. Along with this return number you will receive a ship-to address where you must send your merchandise to. Be sure to include your RGA number with your merchandise on the shipping label. This number will be used to guarantee you receive your credit. Note: If you return a product to us without an RGA number, your return could be subject to additional restocking fees or your refund refused. Items received past the return period plus reasonable shipping time may not be processed. Only items purchased from The Light House Gallery, Inc are eligible for return credit. Returned items must be shipped in the original product packaging. Notification will be sent to the e-mail and/or billing address provided should your return not be accepted. Items will be resent to you upon receipt of your payment of freight charges. Items will be deemed abandoned if we are not contacted within 30 days. General: This privacy notice discloses the privacy practices for The Light House Gallery, Inc. This privacy notice applies solely to information collected by this web site. We are the sole owners of the information collected on this website. We will not sell or rent this information to anyone. We will not share your information with any third party outside of our organization, other than as necessary to fulfill your request, e.g. to prepare your quote or order. Registration/Your Account: When using this site, you may sign up and/or terminate your account at any time. It is your sole responsibility to keep your username and password confidential and accept all activity under your account. Thank you for shopping at The Light House Gallery, Inc. By visiting the site you hereby agree to our terms and conditions whether or not you have visited this page. All terms and conditions herein are reflective of our general terms and conditions and The Light House Gallery reserves the right to change these without prior notification. The Light House Gallery, Inc. may at any time change, modify, or update any part of this website without prior notice. We also reserve the right to refuse service to anyone who does not comply with the terms and conditions herein. The Light House Gallery does not guarantee all of the information on this website due to human error by way of inaccuracies, errors, or omissions. Product suppliers reserve the right to make changes to product offerings, materials and construction at any time. Every effort is made to remove obsolete products from our site. All prices and descriptions listed on the web site are subject to change without notice. We reserve the right to change posted prices at any time. If, through a technical malfunction, we post incorrect prices, we reserve the right to cancel orders placed when the incorrect pricing was posted. 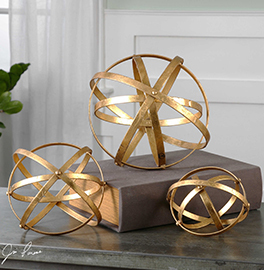 All information found under our lighting guide section or any other informational section of this website is the expressed opinion of the author(s) and may contain professional advice, personal views, errors and/or omissions. We do not guarantee any advice or tip found in this section. We do our best to generate legitimate, relevant information and hope that it aids customers in achieving their goals, however we will not be liable for any actions taken by customers when using any of the content on this site. Under no circumstances will The Light House Gallery or any of it's affiliates be liable for losses or damages associated with the use of this website. Confidential: The Light House Gallery, Inc. collects sales tax for all orders shipped within the state of Missouri and Arkansas.